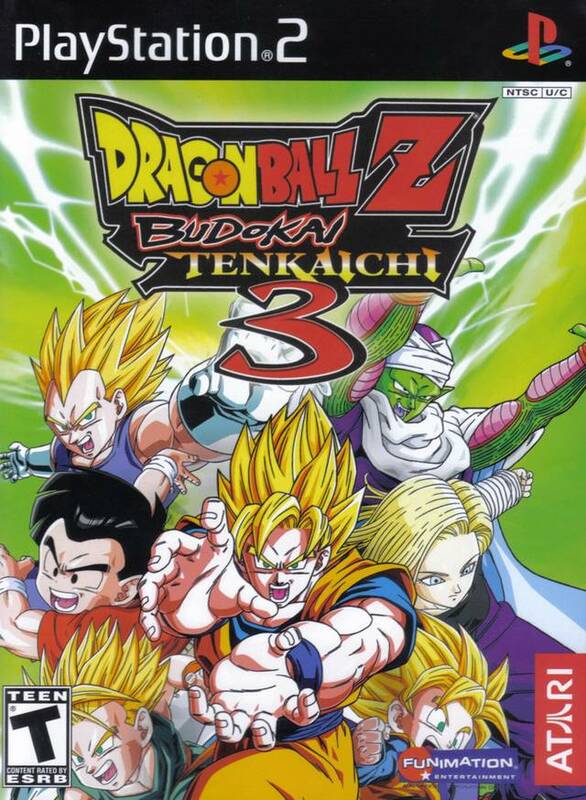 The third and final installment in the Budokai Tenkaichi series. This is one of the few games that I bought full price. After playing Dragon Ball Z: Sparking NEO I was hanging out for this one, and for the most part it didn't disappoint. The character roster is incredible... with many characters from Dragon Ball, Dragon Ball Z, Dragon Ball GT, the movies and the TV specials, and I don't think you can hope for more than that. Also included are several characters that had only small roles in the series, such as Future Gohan, King Vegeta, King Cold. the movies and TV specials. The 1 player mode is designed to play like the series. The first person view really works for me, and is one of my favourite concepts of the Sparking! series of games. The 1 player mode is designed to play like the series, with cut scenes in the middle of the fights and and often the choice of whether to change characters, finish the opponent of with an ultimate finishing attack, or defeating them on your own. I enjoy the voice-overs that can be heard during the main fights, even though they are pretty pointless. Although the game is a little shorter than the previous one, A lot more detail has gone into it, with heaps of new characters and battlefields. And in my opinion nothing beats playing 2 player team battle. A small problem I had was the leveling up system, and the inability to increase your health like you were able to in the second game. This often makes the fights a little too short for my taste, and is one of the aspects that I think was better in Sparking! NEO. The controls take some getting used to, but the basics should become intuitive to you after only a short time. I'm not the best at games, and I was able to get the hang of the main attacks within a few hours (I'm talking about the controls of Sparking! NEO there, as the controls are essentially the same). But even after learning the controls for months, there are many techniques that are still difficult to use, as there are a lot of complex controls. The game is very fast paced, which is one of the things I love about it. I feel it truly captures the spirit of Dragon Ball Z. The fighting environments are great with lots of stuff that you can destroy, and a few great areas that are taken straight from the series, which is really cool. And just wait and see what happens sometimes when you do a really big attack! The graphics are really nice. I really like the cell shaded style that they use for the character animations. I also love the fact that you can change the language settings to Japanese, making you able to experience it the way it was meant to be. In short, Dragon Ball Z: Sparking! NEO and METEOR are the games I dreamed of when I was a kid. The only reason I'm not recommending the first game in the Sparking! series is that I haven't played it. You'll have to find out about that one on your own. Many times I have found myself fighting in Tenkaichi Budokais and looking for Dragon Balls and such for hours on end. The best part of the game? KAMEHAMEHA! The third DBZ: BT gma e is great with nice graphics, voice acting and gameplay.